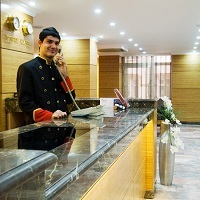 Booking your desired hotel according to your itinerary and budget can be a hefty task. Sparing you the horror, we have come to your rescue. Operational from Patna, Bihar, Yadav Travels offers the most helpful and valuable Hotel Booking Services all over India. Just tell our experts your preferences, program and budget and we promise to find the most suitable solution for you.